DPR are delighted to read the stats from the FMB’s State of Trade Survey for Q3 2014 which shows that house building is leading the growth in the SME construction sector. The results show that the construction industry is still growing, with the biggest increase coming from private house building. This is great news for DPR as all new houses require state of the art roofs to the highest of current standards. DPR roofers in Leeds are qualified to work towards this and it provides us with the opportunities to pitch for work. According to reports, he went on to explain that in the 1980’s almost 66% of all new homes were built by small local builders. Now however that figure has dropped to just over 30%. However, in the last quarter this percentage has started to increase as more local building firms have greater faith in the industry. This has lead to recruitment of more building professionals, of which DPR has ourselves taken on new staff in the last 12 months, as the demand for building work increases. It is hoped that the next quarter will continue this trend of growth in the SME building sector. Despite the positive nature, the industry is still looking to get back to the levels they were at before the recession, however we are still pleased to hear of further improvement in the industry. 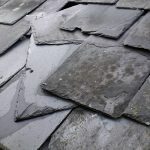 If you are having major building work at your house and require a new roof, please do not look any further than our team to provide you with a quote. Whether it is a flat roof or a pitched roof, we are happy to provide a comprehensive survey and competitive quote price. You can speak to one of our team by calling: 0113 3470918.